The electrical conductivity (EC) is one of the main characteristics of river water quality, and its prediction is important for river water quality management. The simple regression models are widely used in water and environment studies and can be used for EC prediction when there are limited recorded data. The statistical improvement methods can be used to improve the accuracy of the simple regression models. The objectives of this study are the improvement of the prediction of EC of river flow based on river flow discharge data. Statistical methods include different combinations of logarithmic and inverse transformation with conventional simple linear and non-linear and novel segmented linear models used to improve EC prediction. 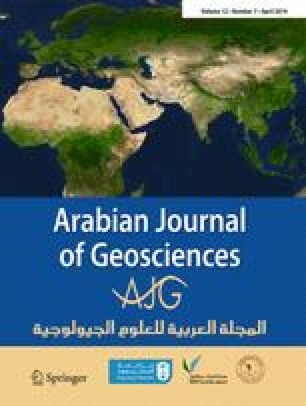 Two data sets belonging to Zarringol and Ramian station located in northern Iran are used and root mean square error (RMSE) and mean bias error (MBE) are selected to analyze the results. The results show underestimation behavior for investigated combinations of models and transformations. The logarithmic transformation has an improvement effect while inverse transformation decreases the accuracy of models. The segment linear model, due to its ability to fit on the non-monotonic behavior of data, provides better results than other studied simple linear and non-linear regression models. Finally, it is clear that the combination of logarithmic transformation and segmented linear model leads to the best improvement among different combinations of examined statistical improvement methods. We thank the Gorgan University of agricultural sciences and natural resources for support of the project entitled “Application of statistical correction methods for improvement of river EC and TDS estimation (Code: 95-354-49)”.